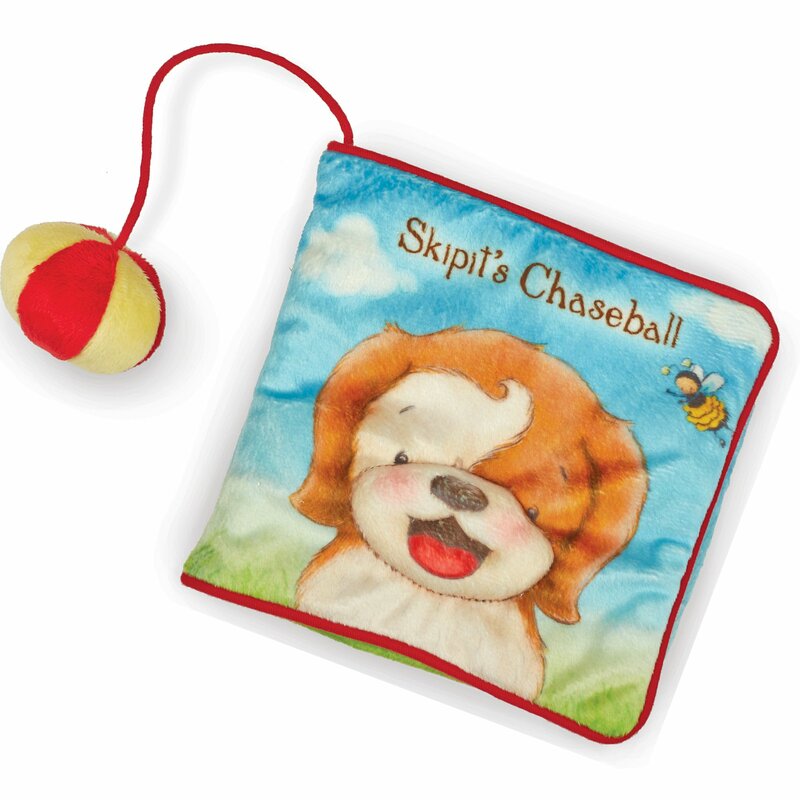 Bunnies By the Bay Skipit's "Chaseball" soft velour story book is full of fun and adventure. Little puppy Skipit is in search of his little ball...featured on the bookmark. 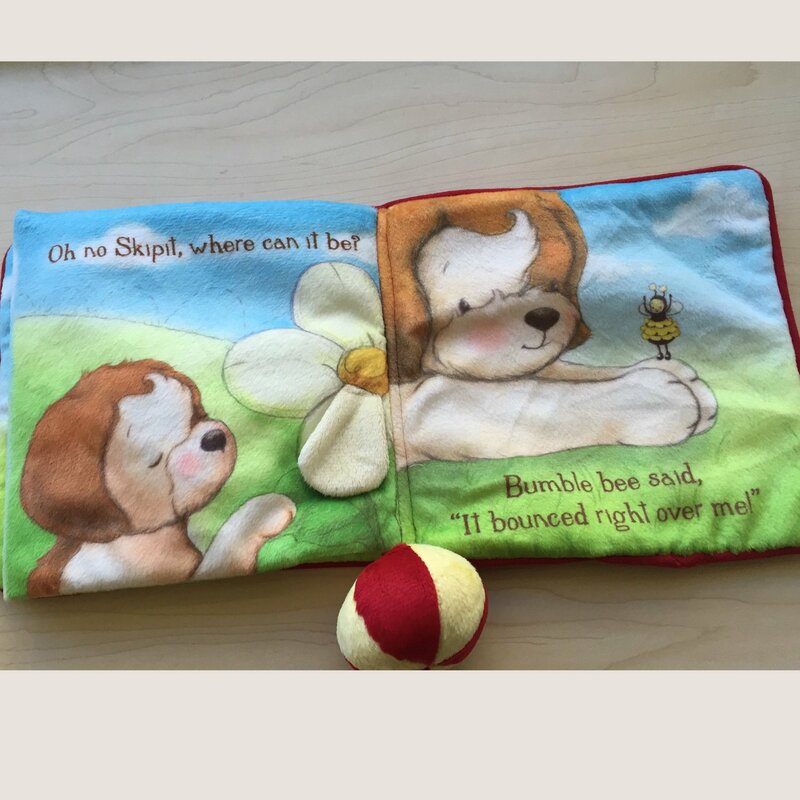 Three dimensional features and crinkle pages adds to this delightful little story. 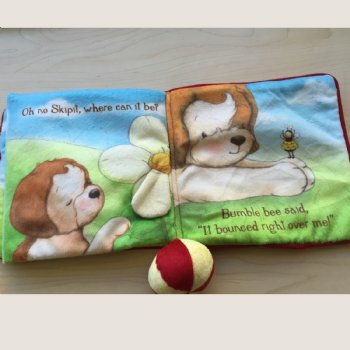 Book is 6.5" x 6.5" and is machine washable. 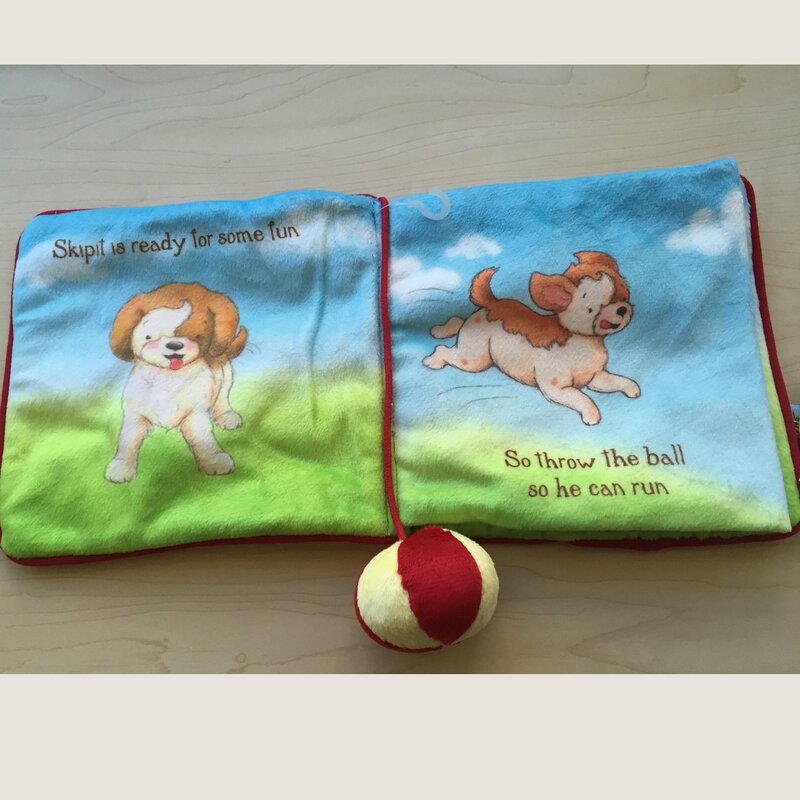 We've added some photos below to show the adorable story of Skipit in search of his little ball. Enjoy! 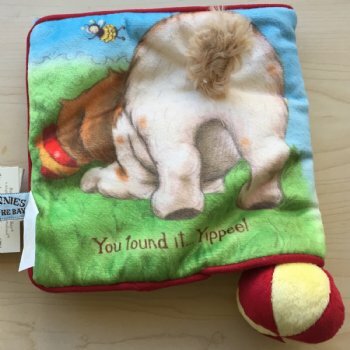 See the full "Skipit Collection by Bunnies By The Bay" here.